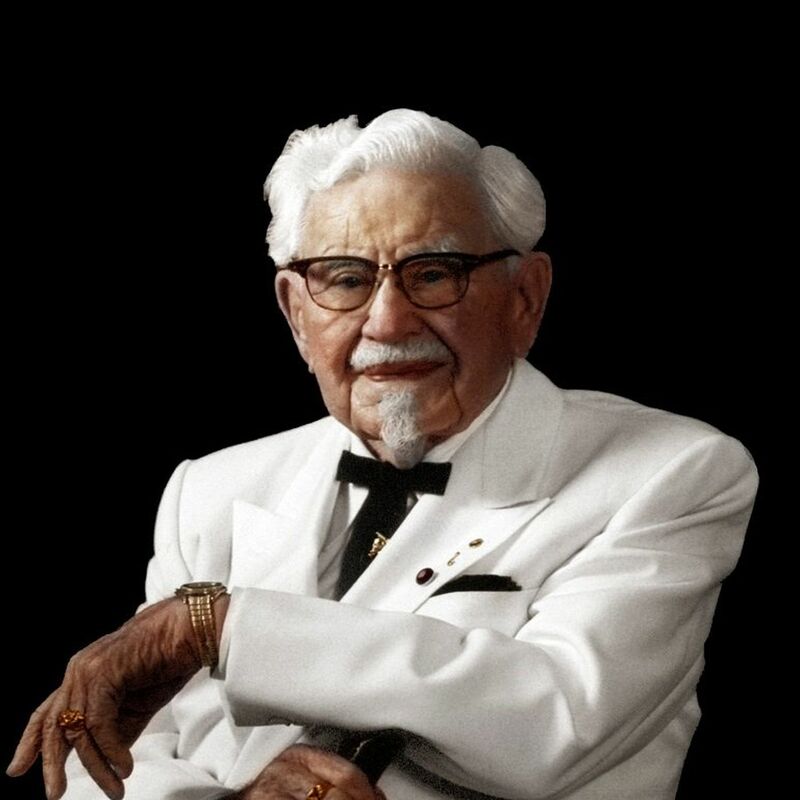 When you get down to it, Colonel Sanders and I aren’t so different: we love gravy, look great in a string bow tie, and people are constantly hounding us for our secret recipe. It’s true. As a writer and editor at The Hustle, people regularly ask me how we choose our stories for the email and manage to make bland business topics palatable for readers day in and day out. So, with our writers off for Turkey Day (and with cuffing and cover letter season fast approaching) I’d like to finally share the salt, pepper, and paprika that make any piece of writing finger-lickin’ good — especially The Hustle’s. Ignore any one of them and you run a high risk of your writing falling completely flat, be it an email to your boss, a cover letter to a potential employer, or a text to a Bumble date. Without further ado, here are the 3 things you need to make your writing a success before you hit the fryer — I mean, keyboard. Who are you writing to? Be as specific as possible. Picture a real, complex person that exists in the world. Whether you’re writing a mass email or blogging to a million people every day, write as if you are speaking to one person; preferably someone you know and like. Why? Because if you don’t, you not only lose intimacy with the reader, you run the risk of pandering to a stereotype — and, as a result, being ruthlessly mocked by the very people you’re attempting to relate to. This tone-deaf story tried to showcase an aspirational millennial lifestyle… and instead got roasted by virtually every millennial on the internet. People often talk about The Hustle’s “relatable voice.” The secret? We write as if we’re speaking to one person. What do you want your reader to think/feel/do? Pick one thing, not 7 things. Once you know what you want to accomplish with your writing, the quickest way to make it happen is to appeal to something your reader already wants or believes (which means, yet again, you better know your audience). Example: my Aunt June’s endless Facebook posts about her birds. I don’t read them. Why? Because I don’t give two hoots about her parakeets. The harsh reality: unless you’re writing to your parents, people don’t care about your hopes and dreams, they care about their own. To achieve your objective, you have to help the reader achieve theirs first. Make them an offer they can’t refuse (via Daily Herald). What do you want them to remember? If they forget 90% of what you write, what is the one concept you want them to take to the grave? In news writing, this is called the “lede,” AKA, the first sentence of the article that gives you the crucial information in one juicy morsel. The simpler the takeaway, the better. That means every word matters. If it’s not moving the story forward or enriching your point, it’s detracting from it — and worse, you’re wasting your reader’s time. Case in point: every food blog that makes you scroll through a 5-page personal story to get to the recipe. JUST SHOW ME HOW TO MAKE THE CHEDDAR BISCUITS. Don’t be that food blogger. Give people the biscuits they came for. Your audience is doing you a favor by giving you their time, not the other way around. Put yourself in your their shoes and deliver the goods. That’s it: audience, objective, takeaway. And on that note, I’ll let you get back to your food comas. Interested in more content like this? Tweet me your questions on all things copywriting @LimbsySquid and I’ll do my best to answer.